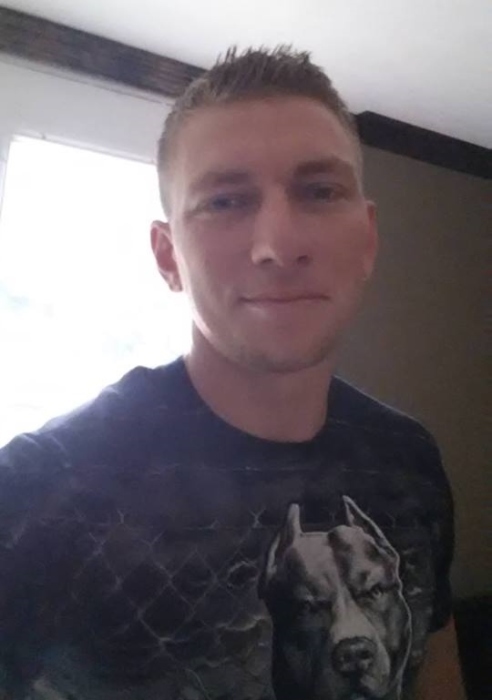 Aaron Douglas Aliff, 27, of Rushville died in the early morning of Thursday, May 17, 2018 as a result of injuries sustained during an automobile accident in Roseville. He was born October 25, 1990 in Lancaster, the son of Speed Aliff of Somerset and Lisa (Sigler) Padilla of Crooksville. Aaron was a tirelessly hard-worker which led to him have very limited free time. He was a self-employed construction worker where he completed numerous sub-contracting jobs for area businesses, a lot of the time Aaron did these projects solo, which once again exhibited his intense and steadfast work ethic. With what free time he did have he spent it playing the guitar, and listening to his favorite musical influences, such as Lynyrd Skynyrd. He deeply enjoyed being outdoors, whether it be fishing or riding four-wheelers with friends. Aaron was a person for which generosity had no limits, his family and friends could always count on a helpful set of hands and a smile when they called him. He had an unending love for his family and they for him. In addition to his parents, Aaron is survived by his siblings of whom he was always very protective, he never let anyone mistreat them. His sisters and brothers are, Rhonda Lamp, Amber (Chris Fisher) Aliff, Adrian (Troy Beech) Aliff, Kimberly (Ed Yonis) Aliff, Stephanie (Deidra) Padilla and Shane Aliff. Aaron was also an incredible uncle, he leaves behind his nieces and nephews, Zarah Aliff, Isabella D'Amato, Maranda Aliff, Gypsie Padilla, Braxton Padilla, Steven Lamp, Thomas Lamp, Noah Beach, Isaac Beach and Ivan Beach. Surviving Aaron also are his former girlfriend, Amanda Rinehart and his step-father, Michael Davis. Preceding Aaron in death are his maternal and paternal grandparents and his uncle, Gilbert Aliff. All of Aaron's family and friends are welcome to attend calling hours, 2:00 PM-8:00 PM, Sunday, May 20, 2018 at the Goebel Funeral Home, 36 N. Buckeye St., Crooksville. Funeral services and a celebration of Aaron's life will be 11:00 AM, Monday, May 21 at the funeral home with Pastor Ed Sharp officiating. Aaron will be laid to rest during a private family service. You may read the obituary, sign the Online Register Book, share a special memory or upload pictures at www.goebelfuneralhome.com.